We are specialized in commercial GPS tracking solutions and data processing for fleet management. 1oT provides global IoT connectivity services and a connectivity management platform to device makers and solution providers. 3dtracking is a telematics software provider for fleet & asset management, vehicle tracking and security and more. 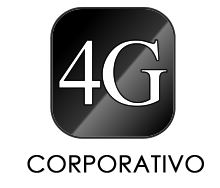 4G CORPORATIVO, S.A. DE C.V.
Aabasoft technologies India Private Limited is a global End-to-End IT/ITES/IoT services and solutions provider. Acloud provide SIM connectivity services, IoT PaaS solutions and related professional services. Adey Electronics design solutions and supply products for machine to machine communications (M2M). We deploy innovative technologies for the home and the office provided by leading manufacturers. Desarrollo a la medida de soluciones móviles y M2M empresariales basadas en nubes públicas y privadas. Aeguana delivers smart vending machine solutions, from new products to retro-fit solutions for existing machines. Empresa de Tecnológica que mide, mejora y mantiene la eficiencia y productividad de la maquinaria Agrícola. con IoT y BI. We offer IoT/M2M SIM cards to connect any device, any network, anywhere at any time. Manufacturer of mobile phones, tablets with a built-in projector for mobile entertainment, games, healthcare, and collaboration. Plataforma de Aprendizaje en Linea para la comunidad de internet. AlertGPS is a trusted provider of safety wearables and mobile apps designed to keep people safe and connected. Desarrollo de aplicaciones móviles, localización GPS, sistemas de transporte inteligente, recolección remota de datos, telemetría. Ofrecemos soluciones integrales que capitalizan las oportunidades IOT para tu negocio. Athelia Solutions: a leader in RFID asset tracking and industrial mobility . Alkimia Mobile S.A. de C.V. Alternative is a leading provider of IT solutions to UK businesses from device to datacentre. ALVENS GPS ofrece soluciones confiables y garantizadas en Control de Flotas de TAXIS, Carga-Transporte y Seguridad Vehicular. A.I Dashcam software and hardware company assisting brands worldwide. We provide solutions tools to our customer for Fleet and asset tracking, for local and international companies. Integrador de soluciones M2M, generación de proyectos informáticos georeferenciados. Anatolian Technologies is a company focused on developing AI technologies for vehicle industry. Annodata is one of the UK’s longest standing, independent providers of print, document, data and communication technologies. Ayana Navigation Solutions (ANS) is a company established in 2011, located in India, provides complete Navigation Solutions. SUPERSIM.plus is a Roaming-m2m-Prepaid-SIM-Card, the perfect companion for all your IOT-solutions. Timekeeper rallies service based on GPS-M2M devices. 5 years of experience with our own-design devices. Specialists in Latin America in satellite tracking solutions, for fleet management. Track your rides, monitor your bike's security, review stats about your bike, and share your experiences. Arkessa enables organisations of all sizes to monitor, manage and control remote devices through our estate management portal. 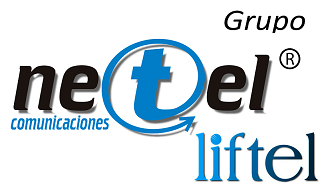 Somos una empresa comercializadora mexicana de Tecnologías de la Información que brinda soluciones de TI. Arrow provides "Sensor to Sunset". Full solution in the IoT ecosystem. Location based services for exhibitions & industrial solutions. ASDS is a leading company in the field of industrial automation . REMO conecta a internet los procesos de producción y la linea de suministro para el monitoreo remoto y el control en tiempo real. Ofrecemos servicios de valor agregado al internet para empresas en Mexico. Generamos ahorros y eficiencias garantizados. Soluciones de tecnología de información aplicada a la salud, la educación y el desarrollo social. Atlantik Elektronik is the leading solution provider for m2m applications. AUTOPROYECT E.I.R.L. Soluciones tecnologicas a su medida. Avarea is for better and faster analytics. We empower our customers to make business decisions in the rapidly changing world. QITLabs is the owner of MapME.net, a SaaS solution for GPS Tracking mobile devices and vehicle tracking solutions. M2M monitoring and management software solution providing "intelligence at the edge" for large scale infrastructure projects. B4B Telecoms are a unified communications vendor, providing our solutions both via direct and indirect channels. 'Babel Sistemas de Información' is an IT Consulting firm, focused on providing added-value services to large accounts. Metering solutions provider - for trash, liquid and etc. level metering, data ceter services provider, telco services provider. “Pay-As-You-Drive” telematics insurance platform . BePark is the key to a network of parking facilities at advantageous prices based on mobile phone access. Billion is 42 year-old company that focuseson Power and Communication products. We have some solution for BEMS, Smart City/IOT. Budiu Tech Smart Shoes for Children – a product of Beijing A&L Technology Co., Ltd.
C21 is a UK based company specialising in M2M hardware/firmware design and development. We welcome enquiries in this field. Empresa enfocada en resolver objetivos de negocio a través de la tecnología y el desarrollo de productos. CAEN RFID is a leading company in the Radiofrequency Identification (RFID) in the Ultra High Frequency (UHF) band. Empresa que ofrece servicios de Ingeniería, Instalación, Operación y Mantenimiento para empresas utilties de Latam. Empresa de servicios de consultoría de TI. We create intelligent living environments and connect generations to include everyone as a social, safe and independent person. CELOT Wireless is a leader of M2M technology with innovative solution . We measure employee mood with a physical device called Daily Pulse: employees simply press a red or a green button leaving work. Global IT Industry, Software solutions, system integrations, Network Solutions, IT equipment distributions and supplies. En Centrotrack le ofrecemos Servicio de Rastreo GPS basado en una plataforma que puede consultar desde su computadora. CERTA TECHNOLOGIES MEXICO, S. DE R.L. DE C.V.
China Unicom Australia is a comprehensive ICT service provider based in Sydney, providing service to clients across Oceania. Tecnología GPS brinda soluciones para la administración, gestión y control vehicular. ClearConnex specializes in finishing any wireless M2M device project ahead with expert engineering services. Cleverlance is a Software- and Application-developing, testing and integrating company. Appr. 500 J2EE and .NET specialists. CNICK manufactures smart wooden rings that replaces physical wallet and enables effortless authentication. Co-Star supply Antennas, RF Cable Assemblies and other related products to the M2M industry. We’re a global leader in business and technology services, helping our clients bring the future of work to life — today. com2m provides an IoT cloud solution as well as the development of end user ready IoT cloud applications. Unique ISP with 10Gb core network. Multiple interconnects into mobile and fixed line operators. Diverse customer base. Comnet es una empresa mexicana especializada en desarrollar soluciones de comunicaciones, infraestructura y servicios . Comsatec empresa líder en el mercado de la tecnología, comunicación y sistema de hosting en la nube a cualquier tipo de cliente. Conectalab, Laboratorio de Ideas, Soc. Coop. Mad. Conexer S. A. de C.V. Connected IO provides superior cellular modems and routers for machine to machine communications in the internet of things (IoT). ConnectedYou is an independent IoT Service company offering a unique and unified IoT service to enterprises globally. Standard Based M2M/IoT Platform Server . Data Loggers and control with online reporting and sending alarms to mobile . We create products to remotely monitor sites. Enabling time-lapse phototography, salinity and silo level monitoring. MCSAT “Rastreo Satelital” Le brinda soluciones para Admistración, Gestión y Control de Activos Móviles y Estacionarios. Empresa con más de 5 años de experiencia en control de flotas, particulares y bienes. Corporativo GEagle Connect S.A. de C.V.
Corporativo Inalarm S.A. de C.V. Global Provider Geolocation Systems and security systems and personal goods, GPRS and satellite. Creation Application are a UK based software development company specialising in Mobile Application development. Creatrix Web Solutions is a Hosting Services Provider and Information and Communications Technology Consultants. CSI International S.A. de C.V.
CSL DualCom Group Ltd is a leading international Critical Connectivity provider specialising in Machine-to-Machine communications. 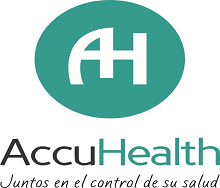 Healthcare and Utility monitoring and control. cVidya is a leading supplier of Revenue Analytics solutions to communications and digital service providers. D-Link is the corporate name of a designer and manufacturer of networking, broadband, digital, voice and data communications. DAQTA helps corporate clients to track their products, monitor their employees’ location and internet usage while aboard. Distribuidor de soluciones de IT para diferentes sectores. Systems Integrator with 14 years experience . DelaneyBiometrics are a leading provider of mobile and cloud biometric software and integration solutions. Density Networks is a technology consulting firm, with over fifteen years of experience and specialist in Wireless deployments. DF International Group, based in South Florida, USA, represents and wholesales vehicle, asset and personal GPS tracking products. Digi provides M2M and IoT connectivity solutions that deliver the relentless reliability and performance our customers require. DIACSA, empresa con 20 años de experiencia en el diseño y desarrollo de productos y sistemas electrónicos para la industria. Digital Matter Telematics is an OEM provider of telematics products. Focusing on niche products for a wide range of insustries. 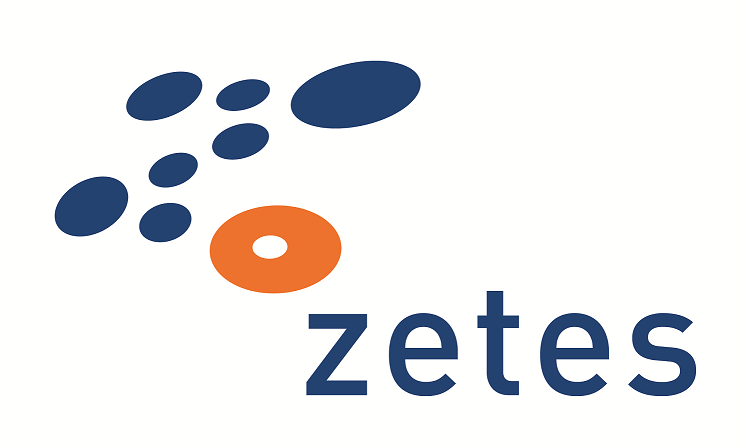 Widely awarded, the most innovative R&D house in Poland – software, ICT, hardware. Empresa de servicios informáticos a empresas, trasmisión de datos, IoT industriales y domésticos, localizacion de vehiculos, voIP. MAKING INDUSTRIAL EQUIPMENT AND MACHINERY INTELLIGENT ! Domatica EdgeServer software can be deployed on IoT gateways, routers, set-top boxes, switches and other network-enabled devices. doubleSlash provides consulting for business integrations of telematics solutions. Association: Development Solutions for Smart and Sustainable Cities (DS3Cities) . DSG Tag Systems is a provider of asset tracking services with a primary focus on the Golf Industry. Gate & Home Automation Leader in Central Europe, IoT Hardware Design House. DunavNET is leading regional company providing innovative products and services in the IoT and M2M arena. IoT solution provider covering hardware, software, data analytics and consulting services, especially in the elevator domain. 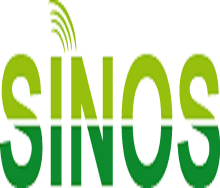 Develops WiFi & M2M electronic devices to offer Smart City and Smart Building services. 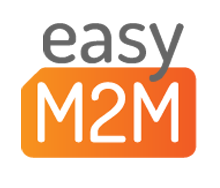 EasyM2M is the most simple & flexible M2M MVNO that operates without long term contracts or complicated approval processes. A sustainable PaaS for tomorrow's Citizen at home, in the city, in Meetings, at School, on holiday, on the move. Enginnering based on dronne Hardware and Software solutions. Elara Comunicaciones S.A.P.I. de C.V.
Empresa dedicada al desarrollo de aplicativos, control y automatizacion Industrial. eMobileCare provides home healthcare solution, RemKare to remotely monitor health and wellbeing of the elderly. Encore Networks is a leader in environmentally and electrical immunity hardened M2M routers. Enefgy provides an inteligent platform for managing and analyzing the consumption of utilities. EMPRESA DEDICADA AL TRANSPORTE Y COMERCIALIZACIÓN DE PRODUCTOS DE PEMEX REFINACIÓN Y PEMEX GAS Y PETROQUÍMICA. We develop IoT solutions for industry and worksite applications, with a focus on more efficient and safe work environments. We provide hardware, software and tracking solutions for any fixed of mobile asset. Epsilon Telecommunications GmbH provides Services and commissions for mobile and fixed line / IP. Switch - the communication provider of choice. We are specialists in the design and commissioning of plants for the heavy clay industry, adapted to the needs of every project. Erictel es el aliado estratégico y exclusivo de Telefónica para desarrollar y comercializar las soluciones m2m en HispanoAmérica. Erictel es un aliado estratégico de Telefónica para desarrollar y comercializar las soluciones m2m en HispanoAmérica. Erictel T2 - El partner que se está registrando es solo de pruebas. Esergética is an energy services company specializing in comprehensive energy management facilities. 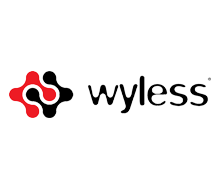 Eseye is a Global Solutions Provider, managing connected device estates. SafeFleet has 35K vehicles tracked mainly in RO and IT. We do use our own cloud based software and also a device based on Gemalto. ELS haved designed a cloud based control system that can monitor and manage various properties from a central point. 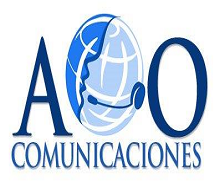 Proveedor de soluciones de conectividad corporativas regionales. Empresa de Telemetría en canales de regadío, GESTIÓN DE CANALES DE RIEGO, así como a usos industriales, hidroeléctricos y mineros. We are an IT consulting company specializing in IOT connectivity. At everymessage we provide Any-To-Any communication managed simply in an online workflow tool to integrate host systems. EVOLUTION TRACK S.A. DE C.V.
Empresa 100% mexicana, especializada en distribución y geolocalizacion de equipos GPS, Satelitales y/o celulares. exceet Secure Solutions develops and provides solutions in the business areas of M2M, IT security and ID- and Access Solutions. Exoha provides a wide range of Telemetry, Information and Telecommunication solutions. Servicios de consultoría y soluciones de software para aseguradoras. Eyca Soluciones, Empresa de seguridad electronica. OFRECEMOS EL SERVICIO DE LOCALIZACION VEHICULAR AL SECTOR PARTICULAR Y EMPRESARIAL EN MEXICO Y ESTADOS UNIDOS. Somos una empresa especializada que brinda servicios de Ingenieria en IoT, Domótica, Automatización, Seguridad y Electricidad. Clay Telecom is a dynamic global service provider of wireless telecom solutions and M2M with Pan-India presence. Empresa con amplia experiencia en el rastreo y monitoreo satelital gps. 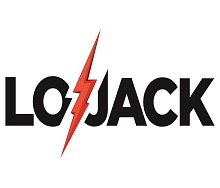 Flicq is a smart sensor company based in Silicon Valley. We develop custom solutions for industrial applications. Flo is a real-time data analysis and management platform that makes sense of unstructured M2M Data for industrial M2M customers. Forever Group is a Unified Communications solutions provider, based in the Midlands. FORVE SECURITY TECHNOLOGY S.A.C. Soluciones Tecnológicas a medida. Fractus designs, manufactures, and licenses optimized multi-band and miniature antenna technology. Frontier Agriculture is the UK's leading crop inputs and grain marketing business. Frotcom International is a global provider of vehicle tracking and fleet intelligence. Fujitsu is the leading Japanese information and communication technology (ICT) company. Somos la empresa líder en tecnología GPS en Chile. Con el equipo más robusto del mercado (EEUU). Solution of security, monitoring and surveillance. Fusion242 are a Software Development agency specialising in mobile and web applications, M2M / IoT, document and data processing. Integramos soluciones para Ciudades Inteligentes como alumbrado publico, transporte y vídeo cámaras de seguridad. Somos una empresa que cuenta con 12 años de experiencia, especializada en servicios de localización y rastreo. Garmin International Inc. is a subsidiary of Garmin Ltd. (Nasdaq: GRMN), the global leader in satellite navigation. Garnell are a fully independent telecommunications and IT consultancy, dealing with all aspects of business commuincation. Gea Systems is born as an entrepreneurial project to develop a tracking system for pets. Genesis Telecom’s goal is to become Northern Ireland’s leading independent telecommunications service provider. Geoband. Sistemas de Geolocalización S.L. Servicios en Ingeniería de Geociencias e Ingeniería en Perforación y Voladura en minería u obras civiles. We are a SaaS based smart device fleet/asset/employee tracking & monitoring solution, we manufacture our own HW & SW in house. Provide M2M SIM cards for consumers and businesses worldwide. 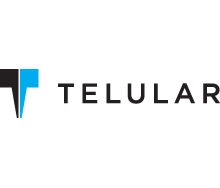 IoT E2E Integrator focuesed in the Mexican and LatAm markets. GeoSkyGPS provides GPS tracking solutions based around reliability and affordable monthly pricing. At GEPAR Solutions, we know your wireless data connectivity is the backbone of your business. Bitacora Satelital nos dedicamos al rastreo satelital en tiempo real, nosotros nos dedicamos al rastreo de diversas maquinarias. GL Track is a real time fleet tracking system that allow clients to effectively manage the vehicles used in their daily work. Global Intel es una empresa encargada de brindar servicios GPS, Rastreo Vehicular y Administración de Flotas. Rastreo por GPS, localizador satelital para vehículos, localización inmediata, habilita/deshabilita su motor y más! Somos especialistas en el ramo de Rastreo y Localización Digital de Vehículos. GLOBAL TRACK es la única compañía a nivel nacional que realiza la ingeniería, fabricación y desarrollo de equipos GPS, tecnologia. En Global Track nuestra Misión principal es ofrecer calidad y excelencia en atención y servici. Refrigerated telematics provider. We provide remote monitoring for refrigerated and dry containers globally. 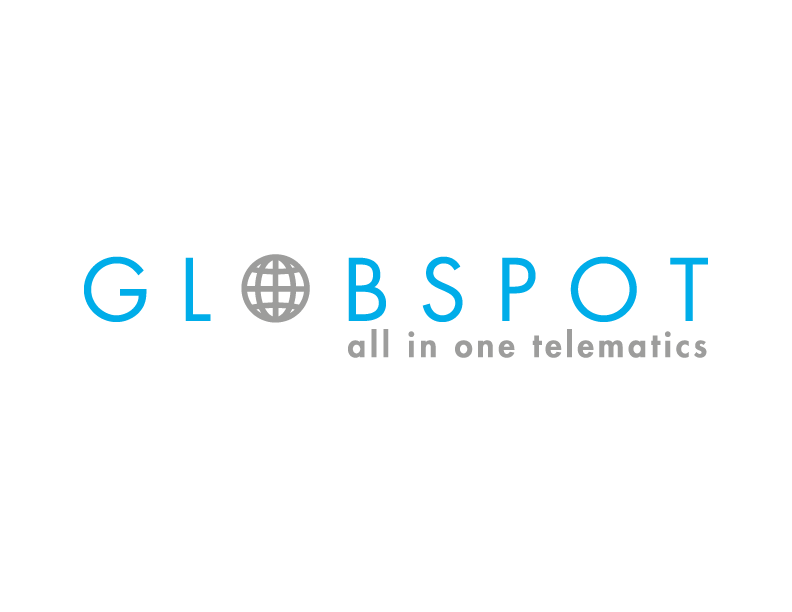 Gloobales, Argentina company is a technology and innovation company dedicated to technology solucionares B2B and B2C markets. Connectivity product distributor and SI. Proveedor de plataforma de rastreo GPS. GPS DEL PERU is Peru's premier provider of M2M Integration Systems, Telematics, Satellite Monitoring Services and SW Systems. GPS FOX ofrece un eficiente y eficaz sistema de seguimiento para gestionar su flota de vehículos y demás activos . GPS Fleet tracking provider. Specializing in low cost with no contract. empresa de servicio gps creada para llevar soluciones a empresas de transporte y usuarios de servicio gps en nariño colombia. 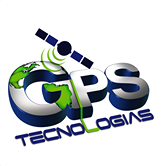 GPS RT Es un rastre de GPS por satelite con un sistema de ultima generacion en lozalizacion gps satelital. GPS Satellite Track distribuimos tecnología Especializada en comunicación M2M. PS SECURE es una empresa dedicada al rastreo satelital, utilizando la tecnología GPRS y plataformas propias para el monitoreo. Greenlabs Technologies es una empresa de tecnología enfocada en servicios de M2M e IoT. Green Ride was founded by experts who realized the time has come for a fundamental change in urban mobility. Home of all Greentwip games. Currently reviving the classics for old-school rejoice. Specialists in Cloud Mobility Solutions . Integrador de Soluciones de Procesos de Negocios BPM BPA y capacitación especializada. NavigateWorx Technologies is an Industrial IoT / M2M Hardware Manufacturer and Solution Provider. Venta de productos y servicios en rastreo satelital de vehiculos, activos y personas. GYZ TEC PERU S.A.C. - GYZ TEC S.A.C. MARSAN INDUSTRIAL, S.A tiene una experiencia de más de 40 años como fabricante de calefacción eléctrica y emisores térmicos. Bespoke and off the shelf secure tracking equipment We design,manufacture and implement solutions to clients needs. HIPER SA, Más de treinta años creando soluciones integrales exitosas Somos una empresa peruana fundada en 1983. 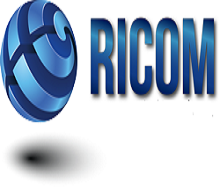 Hirschmann Solutions is a highly innovative supplier of car communication, infotainment, telematic and M2M solutions. Distribución de video en HD o Ultra HD 4K a todas tu TV´s, control del audio e iluminación, inclusive la alarma, cámaras de cctv. The Hologram Nova is a Cat-M1 USB device for Raspberry Pi's and other Linux-based single board computers. 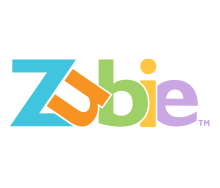 Honestly provides an easy to use solution to collect customer and employee feedback. uCloudlink is a leading mobile data service provider in Chinawhich provides MiFi (3G mobile wireless router) . PROGRAMA FLOTILLAS PARA TRANSPORTISTAS Uso del dispositivo Mobileye como un copiloto salva vidas. 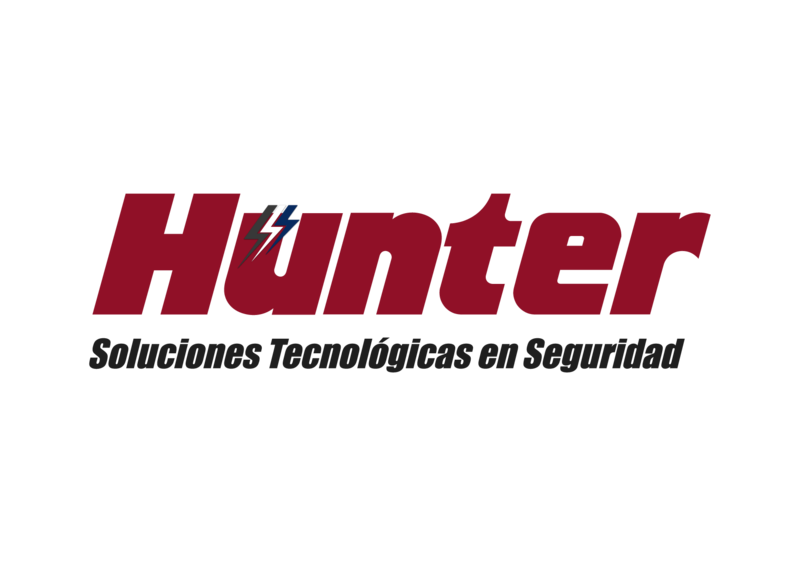 Hunter es un licenciatario de Calamp - LoJack, empresa estadounidense con más de 30 años de liderazgo. Somos una empresa especializada en entrega de valor al negocio a través de soluciones de IOT, sensores, software y servicios. i-Free is an innovative Russian company specialized in developing various solutions and products for mobile platforms. IAGT 'Amazing Software' helps other companies develop software products made to measure. Global acting, manufacturer independent Provider for Truck and Trailer telematics. IDT Tecnologias SA de CV. IMPAQ is an international provider of value-adding Telecom, IT and consulting services. Indexum tiene sus orígenes desde el año 2007; creada para ofrecer soluciones al sector público – privado. Empresa dedicada al desarrollo TI, integra tu organización al futuro tecnológico. INELCOM Ingeniería Electrónica Comercial, S.A.
Infotecs is a 25 year old technology company that develops Specialized VPN software solutions for businesses. The telecom division offers a variety of solutions in infrastructure, hardware, software and value-added services. Somos un equipo enfocado en las necesidades del cliente, proporcionamos las soluciones a su medida. Ingenico enables banks, large retailers and small merchants to manage their payment activities across all sales channels. MCI Ltda has more than 9 years working within the AVL industry, providing GPS tracking devices and hardware integration. INMOTION GROUP - Mobility Think Lab. Technology development for people and cargo transportation. Innospense is a company based in the Netherlands which is providing a eHealth solution for dispensing medicine at home. Brindamos soluciones perdurables, eficientes, seguras y inmediatas que se ajusten a las necesidades de nuestros clientes. InnovaLinks se dedica a proveer soluciones que permiten a nuestros clientes hacer más rentables sus operaciones de transporte. YO-GO-TECH; Soluciones empresariales a su medida. We are manufacturing different devices for retail industry and overall have an expected market size is 1m. Líder en integración de soluciones y servicios de medios de pago electrónico, para el sector financiero, retail y gobierno. 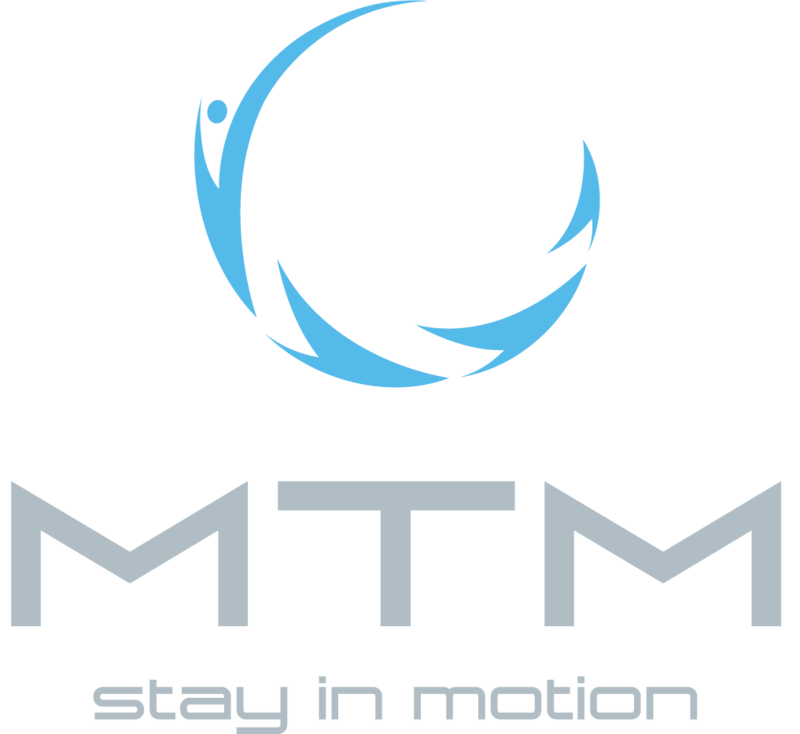 M2M/IoT service deployment company, HQ in Rochester, NY, USA and EU HQ in Ulestraten, Maastricht area in The Netherlands. Integron is a global provider of M2M Deployment Solutions. Somos una empresa de gestión de flotas y seguridad vehicular. Nos dedicamos al monitoreo y rastreo satelital en todo el Perú. Exclusive to Intelligent Telematics the worlds most advanced vehicle camera combining video, telematics and 3G. Apps development and associated services . INTERMEDIA es una compañia especializada en transformación digital, y soluciones de Telematics e IoT en Latam. Provides technological solutions to companies with the aim of optimizing business processes and improving results and profits. inthinc® is a global company centered on telematics, fleet solutions and driving safety. AUTOMATIZA PERÚ, brindamos soluciones tecnológicas. INVERSIONES TECNOLOGICAS & SEGURIDAD S.A.C. Somos una empresa conformada por un equipo de profesionales especialistas en el servicio de monitoreo vehicular. Fabricante de Hardware para IoT y M2M. Microsoft Partner. Platforma AZURE. IoTium provides a secure, intelligent and flexible mid-mile architecture for all IoT verticals. We are a Integral GPS and Tracking Services Company with a different but professional view of the business of providing services. ISPM provides a complete range of OSS service assurance solutions, optimised for M2M and agile service management. iTech provides a comprehensive portfolio of electronic components and customized soutions for m2m telecommunication. ITECHENE PERU SAC, brinda soluciones en el sector de la energía, telemedición. Products, services and IT solutions for our clients to achieve their goals of competitiveness and sustainable growth. J21 is a Consulting and Integration company, with a growing M2M practice in EU and Latam based on Thingworx / Axeda platforms. Kapps is a specialist for e-commerce solutions and supports partners who operate an online shop with accurate services. We Provide Solutions for Better Business. The Kathrein IoT Business Unit provides AutoID Turnkey Solutions (HW, SW and Services). TraceME, GPS, GSM, GPRS, SMS, M2M, LoRa, GLONASS, BLE, LBS, 4G, iBeacon, RFID, Bluetooth, sensor tracking devices. Kepler's global network of nanosatellites enables economic M2M connectivity anywhere in the world. KEVAG Telekom headquartered in Koblenz is ISP and Managed Full Service Provider. Feature rich tracking software. Ideal for companies who do not want the complexity and cost associated with in house development. Kika M2M is a supplier for M2M Solutions, Service and Hardware. Kombridge develop and market Internet of Things (IoT) software solutions. KOMSA is one of the leading service providers in the ict sector. KONEXA TRACK & SYSTEMS S.A.C. A global leader in embedded computing technology solutions with products from Computer-on-Modules to application ready systems. KORE es el mayor proveedor independiente de servicios de conectividad IoT y M2M en el mundo. Kore Wireless is a leading provider of specialized wireless services focusing exclusively on the M2M and telemetry markets. Korenix is a market leading brand in industrial networking, computing and wirelesss solution. 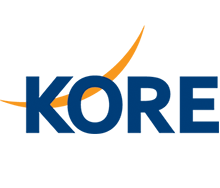 Kosbit is a leading information technology consulting firm located in Southeast Europe. kosmos Gps, se dedica a la comercializacion, distribucion de equipos de rastreo Satelital ,logistica y seguridad. Kunak® designs and sells IoT/M2M products and services for ultra-long range, low power and difficult to access scenarios. Laird Technologies provides M2M modules for infrastructure and telematics and antennas across broad spectrums. We are an independent software and hardware development company providing high quality IT & IoT solutions. We engineer, design and build automated production plants. With our strong knowledge in the service business, we created LCAlive!. 20 years working with M2M and BI reports, software/hardware, developer/integrator. Inmarsat and Iridium partner. Global presence. Smart buildings IoT and data-enabled safety solutions that monitor, alert of water leaks. Automated alarm and stock management systems, primarily for logistical purposes in agriculture and the oil supply industries. 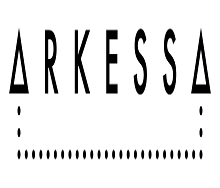 LiveSense is a Technology-based company specializing in the development of telemetry solutions. LocationWorld de Mexico, S.A. de C.V.
Logic PD collaborates with clients to help them launch products that accelerate growth and capture value in the IoE. 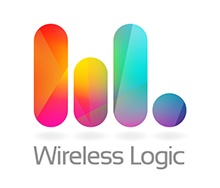 Logitrac is a Complete Solutions Provider utilizing the best networks for M2M Wireless Service. Ofrecemos soluciones de seguridad integral y de eficiencia logística para la industria del transporte. Logitrack se dedica a diseñar soluciones de administración, logística y seguridad para diversas industrias. Empresa relacionada a la Seguridad con presencia en Chile, Argentina y Uruguay. LT Telecom are a friendly, no-nonsense, communications provider. Lyra Network is specialized in providing fully-managed global Payment Service for Banks, Acquirers and Retailers. We provide location and tele-control services of everything that are be able to send geo-positioning or sensorization. Welcome to M2M Cloud Factory. The Cloud-based/On-premises Machine-to-Machine Framework for Manufacturers and System Integrators. 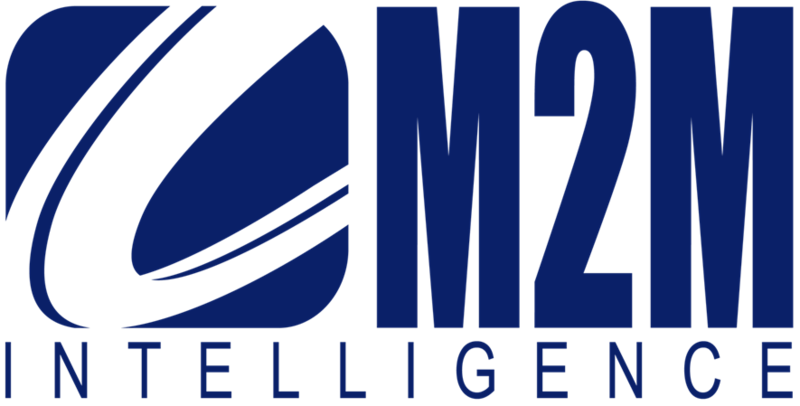 M2M Intelligence deliver customer focused M2M data solutions in the UK, Europe and Worldwide. 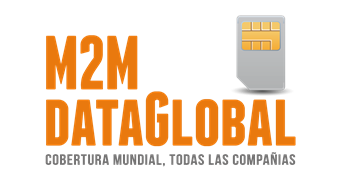 Independent specialists for the provision of Data SIM cards, for the m2m (machine to machine) market space. M2M Solution offers its corporate customers fully customized and yet turnkey solutions in white label. Mabs4.0 is an independent consulting and IT service company focused on the digital transformation of products, business processes. 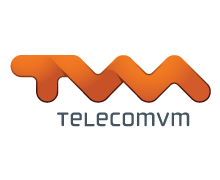 Solution provider in Netherlands for remote alarming, VPN remote access and monitoring . Soluciones y Servicios Tecnologicos, distribicion y comercializacion de productos. Desarollo de aplicaciones. Makenai is a new spanish company founded in 2014. Technical skills, flexibility and proximity to offer the best solutions. 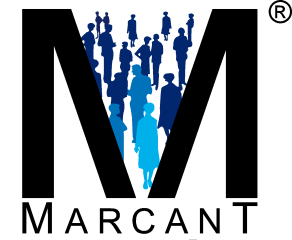 MarcanT is an M2M solution provider and internet service provider located in Bielefeld with a strong focus on secure solutions. MARCOM sells and make application in m2m, expecially with industrial routers. We are main reseller for Inhand Networks router. 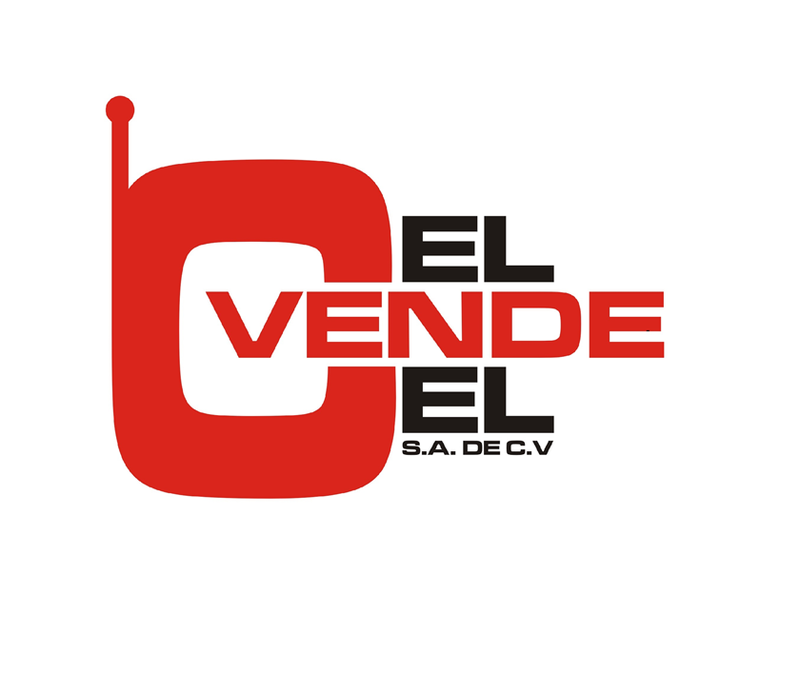 MARKETING PEOPLE, S.A. DE C.V.
We are a company that works with internet connectivity and Security Services. 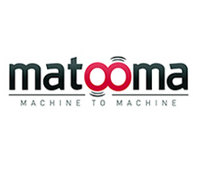 Matooma is a M2M service company that provides a global SIM cards connectivity solution and managed services. MAVOCO provides M2M connectivity that cannot be beaten in terms of cost, flexibility and quality. Measuresoft is at the forefront of fully embedded M2M/IoT industrial solutions delivery in collaboration with customers/partners. Meazon designs, and manufactures products for the Smart Grid and Smart Home markets, for real time Energy Monitoring & Control. 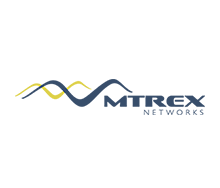 Independent Software Vendor providing solutions and consulting services in the M2M and IoT space. MedSignals/VitalSignals is a leading provider of mobile patient monitoring/alert ecosystems for the chronically ill.
Somos una Empresa 100% Mexicana dedicada a satisfacer las necesidades del cliente, el objetivo es brindar servicios estables. Somos una de las empresas líderes de la industria de máquinas expendedoras en Perú. Metropolitrack es una empresa que brinda servicios de rastreo satelital. We Develop and design Tracking Solutions, Logistics, Software and all mobile and fixed Communications Solutions. MEXICANA DE ELECTRONICA INDUSTRIAL, S.A. DE C.V.
Michelin Sascar México S.A. de C.V.
Compañía enfocada a proveer soluciones tecnológicas innovadoras de TI para todas las industria. Machine-to-Machine / Internet of Things technology turns your products smart . We are the IT and telecom specialists for private business and public sector. Generamos soluciones para ofrecer servicios que ayuden a reducir gastos optimizando recursos y procesos. Software Services company specialists in connected devices with experience from the embedded layer up to the user interface. Mobile Mark designs and manufactures, site, mobile, device and embedded antennas for 137-10GHz. Applications include: 3G/4G M2M. Provide mobility service to enterprises for Roaming and International . MOHAnet Mobilsystems Co.Ltd is a leading M2M solutions aggregator and solutions provider. Monnit is a leading provider of low cost monitoring solutions for commercial and industrial applications. Morpho, a Safran company, is a global leader in security solutions. We employ more than 8,400 people in 40 countries. Movertis desarrolla soluciones en movilidad enfocadas a optimizar la gestión en tiempo real de los vehículos y empleados. Localization specialist, management and security of industrial vehicles, assets and people. moXco offers a platform to localise mobile assets, save their data as well as evaluate and aggregate them. The startup Pioneering spirit for the IoT market. Focus on speeding up the IoT market, mozaiq offers an open cloud-based platform. Empresa con 25 años en el mercado dedicado al desarrollo de soluciones móviles, para optimizar procesos de negocios. Mtrex is the leading provider of global M2M wireless connectivity solutions and managed services. MTX-Terminals offers a wide range of advanced 2G-3G-4G modem terminals equipments for the M2M market. Empresa chilena creada en 2007 que actúa como carretera de transacciones. We are a Unified Communications specialist providing better ways of working in the work space area. 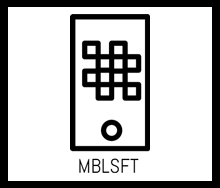 MultiTech offers an extensive line of fully certified and carrier-approved external and embedded modems, routers, and gateways. My Evolution Sdn Bhd is the First and Only dedicated M2M Wireless Service Provider in Asia. MYKOOTS offers an Horizontal M2M Application Service Enablement Platform to accelerate implementation of M2M and IoT projects. NATIONAL ENTERPRISE OF SECURITY S.A.
NavGIS Corporation (NGC) es un proveedor de productos y servicios, desarrollos de alta tecnología e integrador de sistemas. Innovación en tecnología para logística y transporte. Ofrecemos soluciones de Monitoreo Vehicular. With three commercial brands 72horas, Advertisim y net4machines, is a company specialized in telecommunications engineering. Nayax is a leader cashless and telemetry solutions technologies for the vending machine industry. NEOSOFT, Empresa de desarrollo de Software y Servicios Informáticos. The smart IoT platform provider to monitor, measure & control your business in real-time. En NetPartners integramos procesos y personas mediante la mejor tecnología. NetComm Wireless is a leading developer of cellular Machine-to-Machine (M2M) devices for carriers and the global M2M markets. 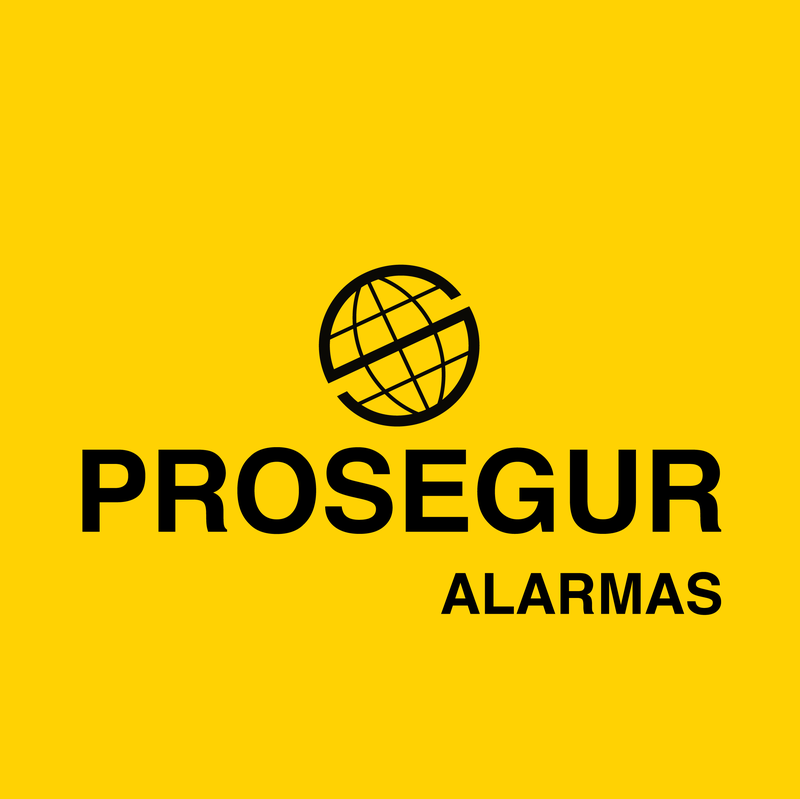 Servicios de la plataforma y soluciones integradas para empresas de seguridad y de elevación de emergencia soluciones. Provider of innovative monitoring systems for aeronautics . Nethix offers high-end solutions for remote monitoring and control in the M2M, industrial and home automation fields. We are a technology company selling insurance . Somos el socio estratégico de nuestros clientes, brindándoles herramientas de Inteligencia de Negocios. NL Secure is a dutch company specialized in security tracking systems in Scooters, Homes and Mobiles Objects. 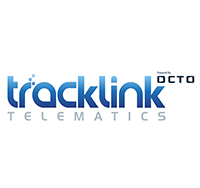 French Telematics service provider operating since 2002 on B2B markets targeting large accounts . NUBE-GS S. de R.L. de C.V.
Monitoreo inteligente del contenido de Gas LP en tanques estacionarios. Somos especialistas en soluciones Cloud Computing para la digitalización de negocios. 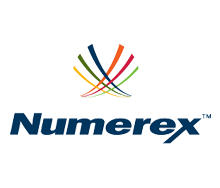 Numerex Corp. is a leading provider of interactive and on-demand machine-to-machine (M2M) enterprise solutions enabling the IoT. Our expertise allows us the advantage of a very different solution viewpoint to traditional vendors and service providers. Nuve SYS de Mexico, SAPI de C.V.
OIES Consulting provides research and consulting related to M2M / IoT indusytry solutions and technologies. Olive provides world class innovative communications solutions across IT Infrastructure. Easily track and manage all your assets, vehicles and connected things. Empresa que ofrece soluciones integrales para tu Pyme y Media Empresa,con experiencia en el análisis de procesos de negocio. Energy efficiency with accounting and smart meetering . Option CloudGate is the carrier-approved M2M solution platform. Orbitechnology is a company dedicated to the design, development and implementation of systems for home and vehicles. Ositech specializes in providing innovative, highly integrated and easy to use data communication solutions for vertical markets. 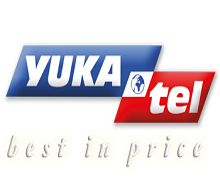 Provider of Sim cards to the security industry with a unique ability to cut cost while giving the customer great service. One of the leading ICT enabled machine-to-machine (M2M) automation and control solutions providers globally. Pangea | Connecting Everything is the leading provider of SMART Global IoT Solutions. Pangea is a leading provider of SMART Global Connectivity and Applications to the M2M and IoT market. Parlevel Systems provides technology solutions to vending machines, micro markets, and coffee/water delivery services. We develop tools for unattended points-of-sale operators so they can grow their business in the simplest, most efficient way. Elite Tracking Solution for Subprime Lenders. M2M Hardware and Software Innovation Lab . Creates customized M2M, IoT, Geo-location products and services and provides Device Care Service for devices and data protection. PAXMARK PERU S.A.C. Soluciones industriales a medida. Somos una empresa proveedora de sistemas tecnológicos a nivel internacional. PERUTRAK.COM SAC, somos una empresa con 8 años de constituída, nuestra actividad principal es el rastreo satelital GPS (AVL). We manufacture GPS trackers based on CUSTODIUM open hardware for intelligence and military uses. plan.com is an innovative provider of UK-wide mobile, fixed-line, broadband and digital services to the partner channel. PLANET MONETIC is specialized in maintenance, installation, repair of banking card devices. PointPay México S.A. de C.V.
PointPay es una compañía enfocada en la captura, procesamiento y autorización en línea de Transacciones Electrónicas. In Polar Technologies we create and develop business initiative based on technology with a start-up philosophy. POSITION cuenta con relaciones estrategias con Proveedores Tecnológicos en los más prestigiosos centros de negocios del mundo. Wearable GPS Devices. Caref GPS and kidsport GPS offer parents and loved ones peace of mind. PROCEAM es una empresa dedicada a ofrecer soluciones integrales a nivel industrial en el ámbito de las telecomunicaciones. Product Health is a battery monitoring and data analytics business. We offer an end-to-end smart, connected battery solution. Central de monitoreo de paneles de alarmas y sistema de localización. Empresa de seguridad electrónica residencial que aplica para el país de Chile. 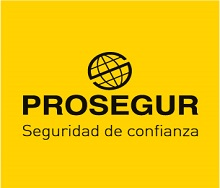 Empresa que brinda servicios de seguridad física y tecnológica. PROSSEA is an international organization that develops and markets products and cutting-edge technology services. Prossea Corp is an international corporation, we distribute technology especialized in M2M communication. We provide equipment for the smart grid, to remote control renwable energy plants all over Europe. PROTECCION 365 VIGILANCIA ELECTRONICA S.A.C. Somos la empresa de seguridad de Monitoreo electrónico de Alarmas, Circuito Cerrado de TV (CCTV), Monitoreo GPS, entre otros. Pyronix is a leading manufacturer of electroic security equipment for commercial, industrial and domestic properties. Smart technology communicating with your smartphone . 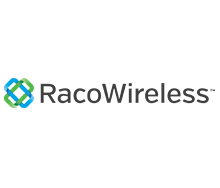 RACO Wireless is a leading provider of specialized wireless services focusing exclusively on the M2M and telemetry markets. Rebelroam is a internet service provider for the transportation industry. ReFleX Wireless offers a comprehensive data collection and analytic platform for the healthcare industry. En Regiosis nos enfocamos a diversas areas pero la mas importante es de localizacion via GPS. Connecting Power & Water via Satelite. Always, everywhere! Renovotec are a leading provider of mobile computing, voice, printing and data capture solutions. Republic of Things is the unique central pivot in the creation of the Internet of Things. Programa de contabilidad y facturación en la nube para autónomos y pymes. Gestiona tu negocio fácilmente y desde cualquier lugar. Conectamos al gobierno con los ciudadanos de forma digital para mejorar la comunicación y atención ciudadana. Nuestros servicios de consultoría y software de punta a punta. Proveedor de soluciones para empresas dedicadas a rastreo satelital y seguridad privada. Current o2 Telefonica Roaming Partner. 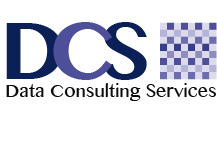 Traditional Voice and Data Services, we have a partner in the UK to help develop further. Industrial Cellular M2M Gateway Manufacturer . We are a solutions provider specializing in value-added areas of mobility, geolocation fleet and mobile workforce. GPS Tracking & Fleet Management Services that are more superior than the competition. We can support all different verticals. Promoting and distributing electronic components in Spain . Sistemas de monitoreo gps, integracion informacion para logistica. SCL is the exclusive distributor for the Iberian Peninsula of the NDC Technologies products. Security Center A&M SRL, empresa dedicada al monitoreo de sistemas de seguridad electrónica, consultoría, asesoría. SEGURIDAD ELECTRONICA DEL PERU S.A.C. The DL16 is a small, autonomous and multipurpose device with real time internet connectivity and GPS position-enhancer. We bring your business to the Internet of Things . M2M Automation For Smart Cities, Homes & Buildings . SH business COM works nationwide and offers two distinct advantages that can lower your costs and optimize your operations. Omni-channel iPad Point of Sale (POS) to enable connected retail. 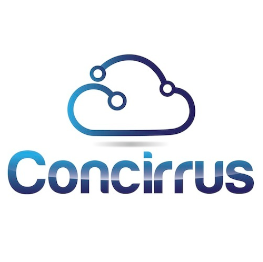 Conected and autonomus car solution provider. Silver IMP develop products and services, providing a SaaS platform for the public and private market. 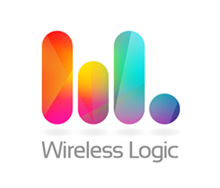 SIMCom Wireless Solutions Co.,Ltd. 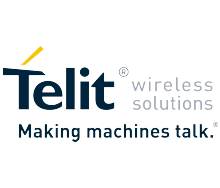 is global leading Machine-to-Machine (M2M) wireless modules and solutions supplier. Simfony was founded with the mission of providing end-to-end bespoke mobile services. SimplifiCar es una compañía de posicionamiento global y gestión de flotas. ¡SinDelantal es tu sitio para pedir comida online! Automatización del transporte urbano y su operación. SK TECNOLOGIA E INGENIERIA DE SERVICIOS E.I.R.L. SkyAngel is a Fleet Management and tracking company that specializes in making your fleet more efficient and smarter. 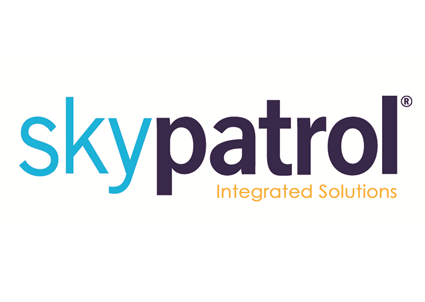 skypatrol is a global business leader in GPS tracking and fleet automation solutions, serving the Americas, Europe, and Asia. Skyroam provides M2M and IoT companies the ability to seamlessly manage global carriers and SIMs. Smart Service Transformation Consulting S.A. de C.V.
SmartWitness design, manufacture and supply In-Vehicle CCTV Cameras and Safety Systems to organisations around the Globe. We are an IT consulting firm specializing in emerging technologies and cyber security. Es una empresa dedicada al servicio de: monitoreo, gestión y control de unidades y flotas vehiculares, por medio de equipos GPS. SOLUCIONES DE LOCALIZACION TRACKER S. DE R.L. DE C.V.
Empresa desarrolladora y proveedora de soluciones de localización. Empresa de desarrollo de tecnología para emergencias. SOTI is a proven innovator and industry leader for mobility and IoT management. Speedshield provides telemetry systems and fleet management helping to increase efficiency and safety and minimize costs. SPERTA IMAGI, S.A. DE C.V.
We are a service and software Company that provides an M2M management platform for GPS tracking products and services. Suntech es el líder mundial en fabricación de dispositivos GPS para localización, rastreo y telemetría de vehículos y mercancías. STOP, Satellite Tracking of People, provides offender tracking services to local and state governments. 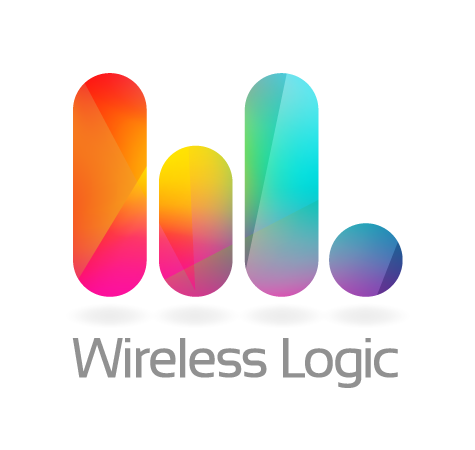 Global Wireless Services for M2M & IoT . SUEZ WATER ADVANCED SOLUTIONS PERU S.A.C. SUMELCO techs is a well-established technology partner for industrial data logging, data communication and M2M technology . Global Positioning Systems for your company, industry, or for your entire family. 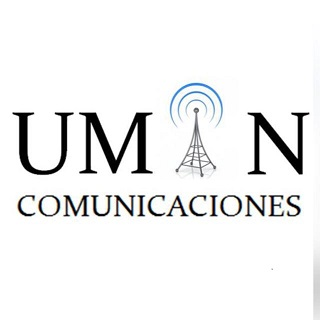 Direct Sales Telecomunication B2B, we mediate Contracts to Companys. Synox is a IT company which offers innovative services in the fields of mobility, collaborative, Machine to Machine and Cloud. T & T MEGA REPRESENTACIONES E.I.R.L. T & T MEGA REPRESENTACIONES E.I.R.L. Empresa dedicada a servicios de tecnología. Taoglas Ltd is a worldwide antenna solutions provider and is at the forefront of antenna design and technology. TARGETMAPS S.A.C. Soluciones tecnológicas de alto impacto. Tas Chile, empresa dedica al Servicio de emisión de vales electrónicos en reemplazo de la boleta de papel. Taxi Butler - Taxi Order Box for Hotels. Taxi Order Device for hotels, bars and restaurants. Agricultura 4.0 Monitorización de cultivos: Humedad de suelo, meteorología, crecimiento, conductividad. We are a Kenyan based IOT company offering smart technology products and solutions for organizations and businesses. TECNIKA EMPRESA DE TI ENFOCADA EN MEJORAR LAS CAPACIDADES TECNOLÓGICAS Y NEGOCIO DE SUS CLIENTES Y A INCREMENTAR SU PRODUCTIVIDAD. Tecnología en sus Manos S.L. Somos una empresa dedicada al servicio de rastreo y seguridad vehicular especializada en las unidades de transportes de carga. Somos una empresa que se especializa en soluciones que permiten hacer mediciones a distancia para tomar decisiones en tiempo real. Tecsidel is a company that develops and integrates advanced IT systems. With 300 people, 3 offices in Spain and 6 abroad.